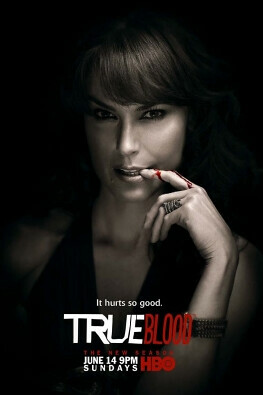 This weeks list of premiering summer TV shows includes True Blood, Wedding Day, Hawthorn among others. Read on for all of the details. True Blood (9pm on HBO - Available in HD) - Season 2 starts with Dallas vampires employing Sookie Stackhouse for her telepathy. Oh the enjoyable things vampires get into.... Seriously I've not seen this show since I don't get HBO, but just might have to check it out as I've heard good things. CMT Music Awards (8pm on CMT- Available in HD) - CMT Music Awards for 2009 - get your country goodness here. Wedding Day (8pm on TNT - Available in HD- Available in HD) - A new reality TV series where they choose one bride to make her wedding dreams come true. The First 48 (9pm on A&E- Available in HD) - Season 9 of a reality TV show about murder and crime. Gordan Ramsay's F Word (9pm on BBCA) - New reality TV series that supposedly shows the tamer Gordan. He shows recipes and interviews celebs in the London restauraunt named "The F Word"
Eli Stone (10pm on ABC- Available in HD) - Returns from a long break to air the final episodes ending on July 11.